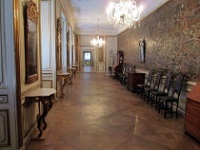 Attractions in Copenhagen are a mix of living history and fun activities. Its many cobblestone streets and rows of old Danish houses are much like they've been for centuries, occupied by wonderful shops and carnival-style entertainment. 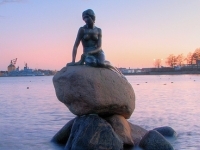 The Little Mermaid statue in Langelinie harbour is the city's most sought after sight for visitors, despite its small size. Other attractions await in unique neighbourhoods, grand museums, and entertainment venues, usually reached on foot and mostly found in the old city centre of Copenhagen. 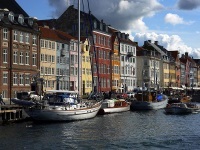 A walk along Nyhavn Canal reveals the best of historic Copenhagen with old architecture and wooden boats showcasing the city's maritime history. 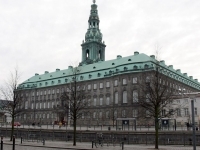 For those interested in delving deeper into the Danish past, the National Museum at the Prince's Palace is a central Copenhagen attraction, as is the Copenhagen City Museum. Copenhagen also has a proud heritage of art and design, well showcased in numerous museums, galleries, and the architecture. 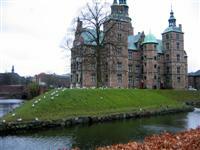 Of course, no visit to Copenhagen is complete without idling in the Tivoli Gardens or playing in its famous theme park. The Copenhagen Card is very useful, giving free entry to more than 70 museums and attractions, free rides on public transportation, and discounts in many restaurants and shops. The cards can be purchased at the airport or at many tourist offices around Denmark.